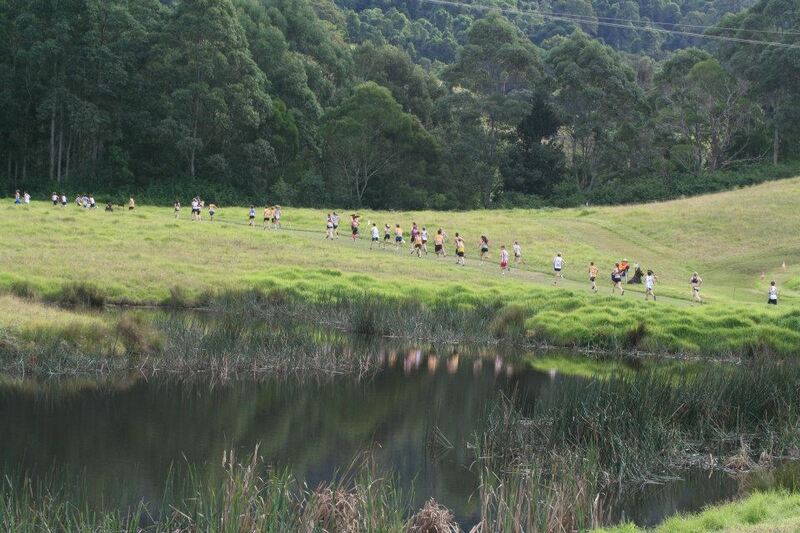 We had our biggest turnout ever at Nowra with 30 juniors running in the various age groups. We took over a large under cover space near the finish, with parents, grandparents, our white board, chairs - there was a bit of a party atmosphere. This is incredible, as Nowra is 3 hours away for most of us, so it reflects the enthusiasm of the juniors. Parents were also enthusiastic, with some staying the night beforehand and 2 more mums joining Striders so they could run the 8K. This shows the scene - a beautiful spot. 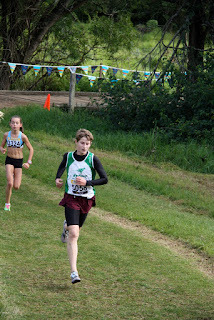 http://www.nswathletics.org.au/customdata/index.cfm?fuseaction=CustomItem&ItemID=59185, We had a lot of individuals in the top 10 for their age groups, with Lachlan Francis best individual performer on the day coming 2nd in the U12 boys 2K. 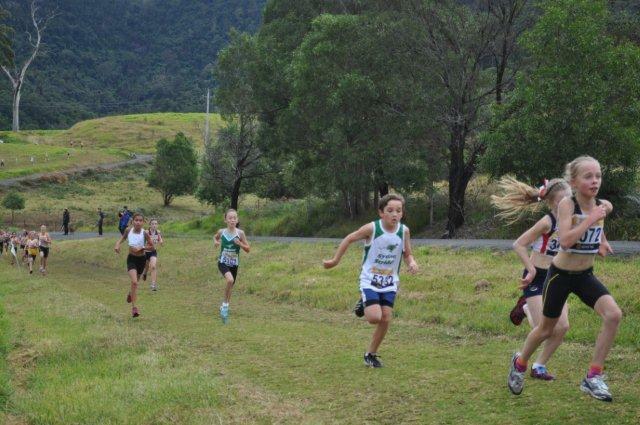 As regards teams U20 girls got gold, U18 girls and U12 boys won silver and U16 boys, U12 girls won bronze. 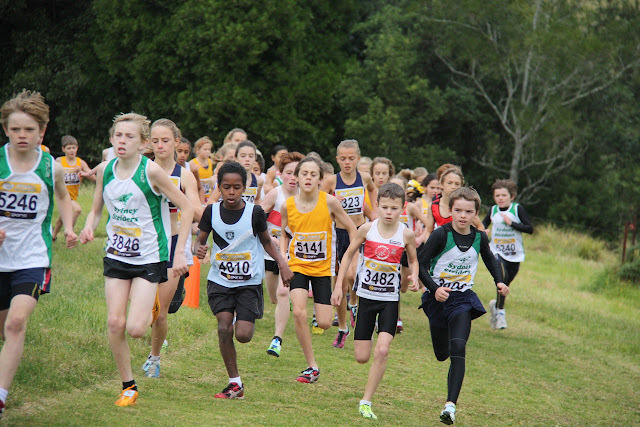 Our U14 boys A and U18 boys came 4th and our U14 boys B came 6th - so Go Striders!! Lachlan Frances, Daniel Cooper and Kieran Gorman joined the lead group that broke away right from the gun. With 600 meters to go, Lachlan was part of the trio that broke away and he got himself into 2nd place in the finishing straight. It was a close race as there were two seconds between 1st and 3d. Not far behind after an almighty tussle, Daniel and Kieran came in 5th and 6th. Young Jack Stockeld in his first season finished strongly in 16th place to fill the final spot in the team. Despite having three in the first six, our boys were narrowly beaten into second place in the team competition by Kembla Joggers (3 points). The girls were led home by Nicola Hogg who placed 5th overall with Ciara Sinclair not far behind in 7th. Nicola, Ciara, Emma Kirkland and Gemima Davies won a bronze team medal. 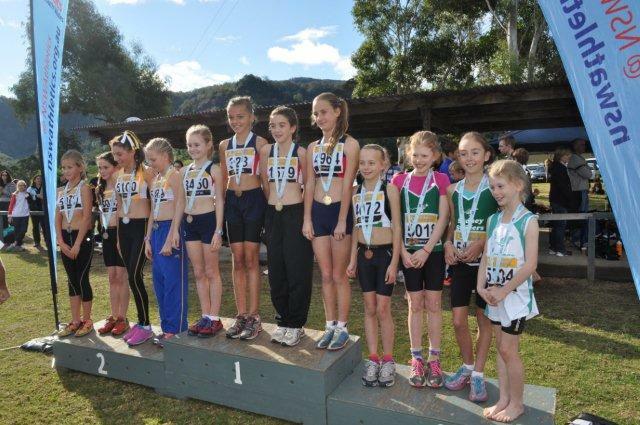 All of them are at the younger end of the age group so well done girls. 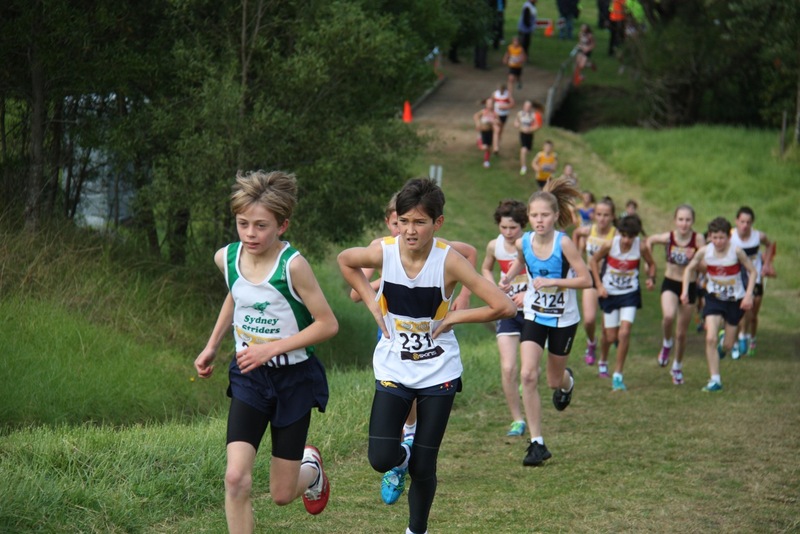 From left to right you see our under 12 boys in their finishing order: Lachlan, Dan, Kieran and Jack. Nicola Hogg leads from Samuel Greenland and Ciara Sinclair. 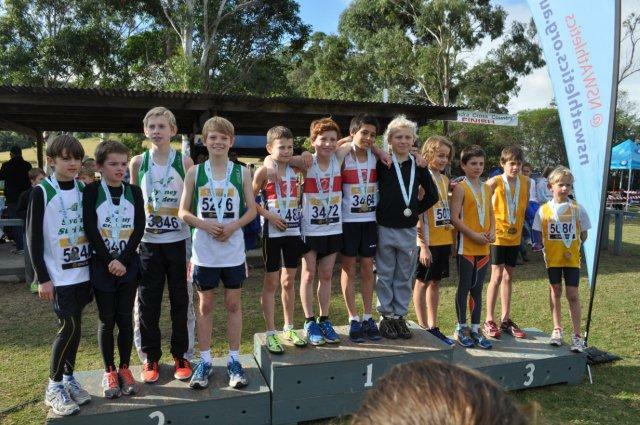 Under 12 boys Jack Stockeld, Kieren Gorman, Daniel Cooper and Lachlan Francis win silver. Lachlan Francis second in the 2K!! 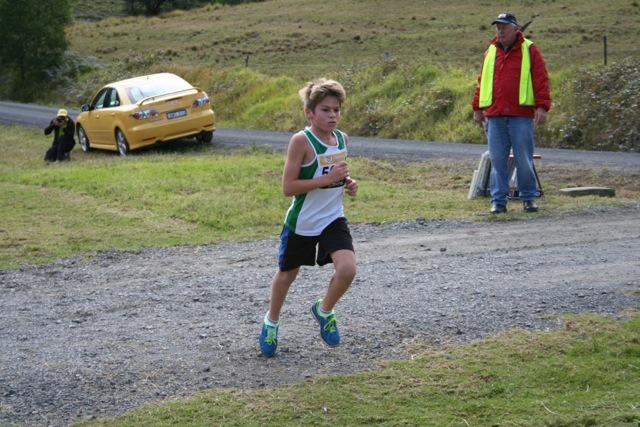 Tom Davies was 2nd M12 and was the highest Strider placed in the race at 9th. 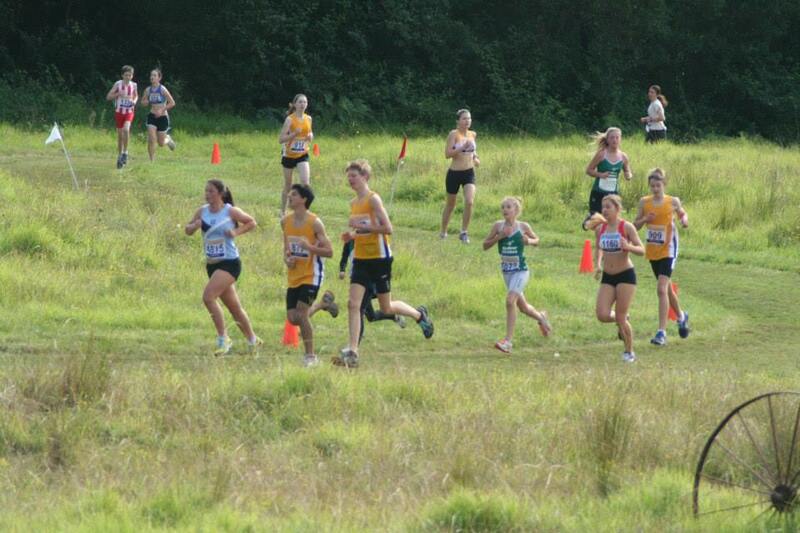 The A team finished 4th and the B team was 6th. 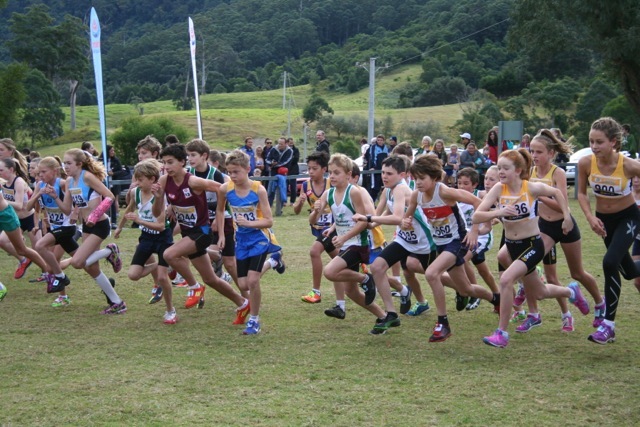 The 3K Under 14s start, with Daniel Rasmussen and Jack Unterweger clearly visible, and Samuel, Tom, Will, Corey and Lauren and Dan Cooper somewhere in the crowd. 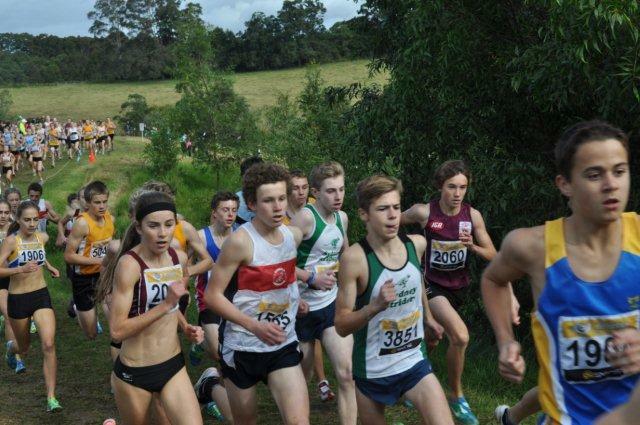 The team was led home by Lachlan Cooper who finished 8th after tracking Josh Phillips (12th) for most of the way. 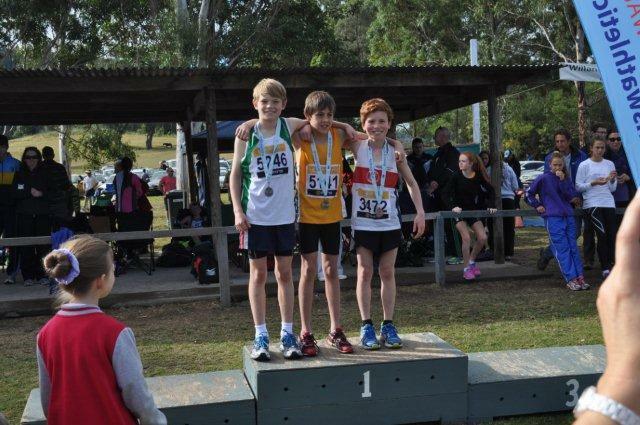 Lachlan, Josh, Ben Jagger and Kieran Gorman (on his second outing of the day) won a bronze team medal. Lachlan Cooper and Josh Phillips are class acts! 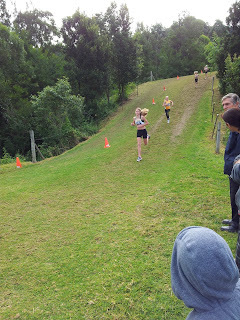 Lachlan ended up ahead of Josh, but they really pull each other along. 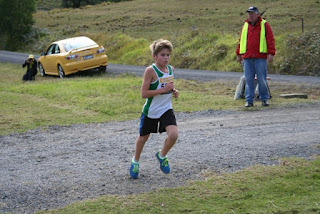 Ben Jagger was the only under 16 boy to stay around to claim the team bronze. 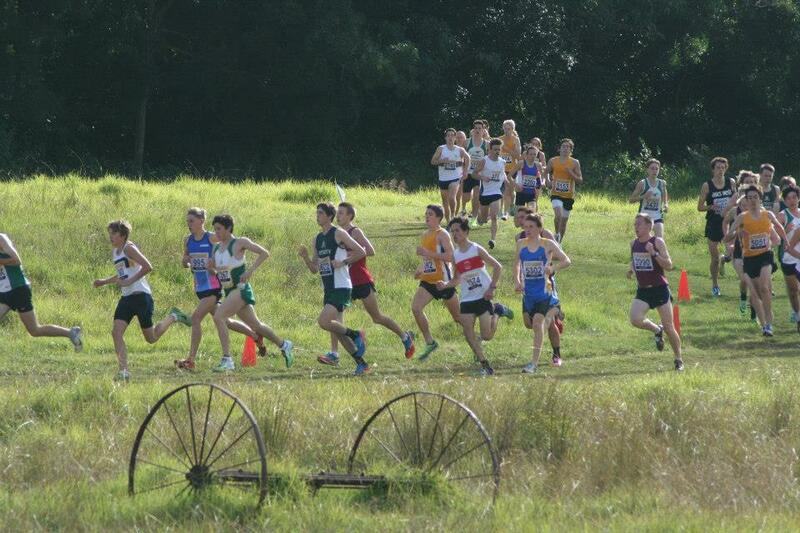 Fellow team matesLachlan Cooper, Josh Phillips and Kieren Gorman are nowhere to be seen. 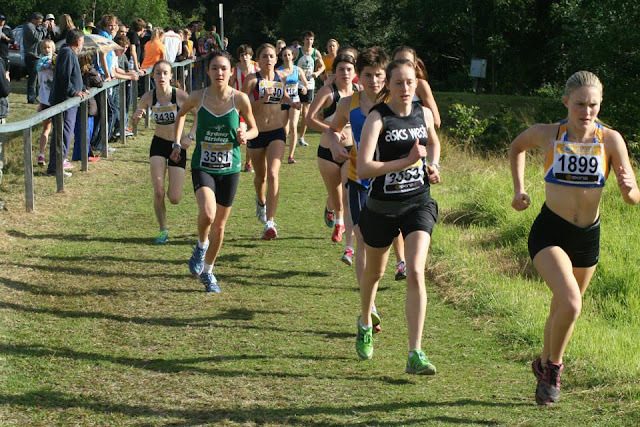 Hannah Gibson led home the under 18 girls team, closely followed 13 year old Jess Francis. The team of Hannah, Jess, Amelia Gorman and 11 year old Olivia Hogg won a remarkable silver medal. 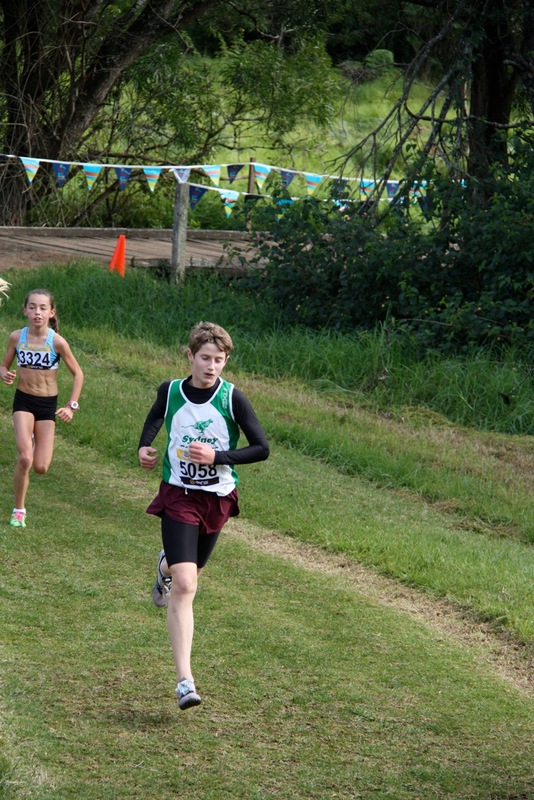 Sally Rasmussen and Olivia Hogg in the Under 18 girls 4K - she is 11. Hannah Gibson and Jessica Francis. 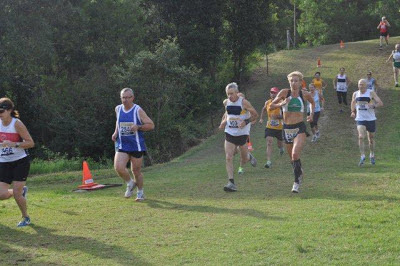 The team that won silver at Miranda was narrowly beaten into 4th place. David Gardiner led the team home with a very gutsy performance which earned him 8th place in the race that was dominated from the start by the invincible Morgan McDonald. 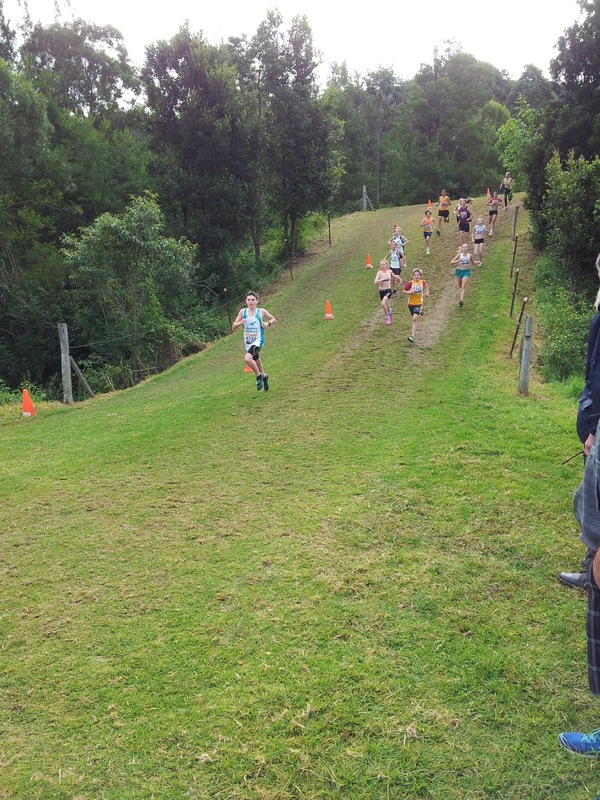 From left to right: David Gardiner (just cut off), Daniel Francken, Adam Halmy and Paul Loader. 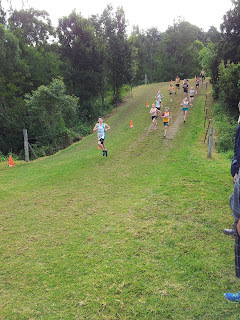 David Gardiner clearly giving his all - our fastest runner on the day. Gabe Corke, our 400m runner, having a long run. Hannah and Amelia, having competed in the under 18 girls 4k event, put on another set of timing chips and lined up with Jess Vernon and Bethany Halmy in the 6k event. This proved worthwhile as the quartet won our only team gold medal of the day. There were 2 debuts with Olivia and Nicola Hogg’s mum, Katherine, and Tom and Emma Kirkland’s mum, Helen putting their Striders’ uniforms on for the first time. 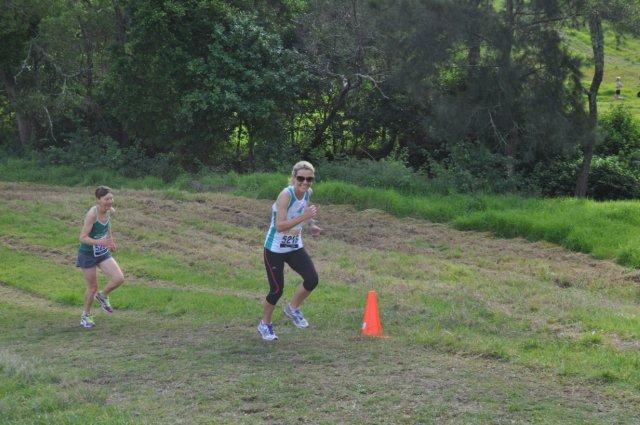 Helen went on to win her first State Team medal as part of the F45+ team with Caroline and Jean King-Smith. Our very own Tony Wong, Will Law’s Dad, John , Adam and Bethany Halmy’s Dad, Michael ran in the 12k event. 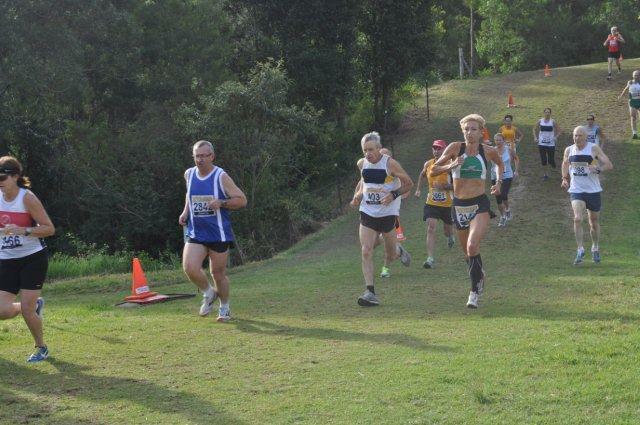 Katherine Hogg leads Strider Mary Stringer in the 8K (Mary later took the lead). 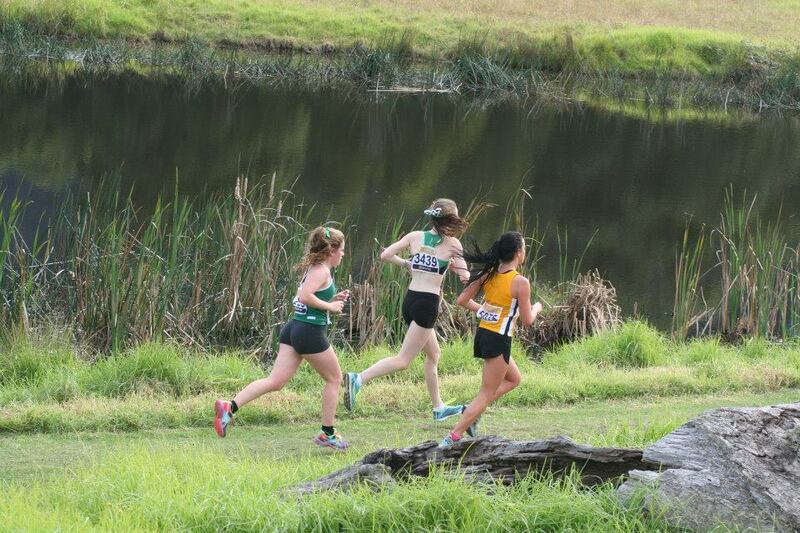 Caroline in the 8K struggling round with a stitch.